Welcome to Silver Bullet Express. For over 10 years we’ve been a family run same day courier service based a few miles out of central Bedford. We can deliver your goods nationwide and on the same day – simply give us call now to book a collection! We’ve developed a unique tool – our instant quote generator. Please complete the short form and you’ll be presented with two prices. One is for the use of a small vehicle – perfect for hand carriable boxes. The other price is for a large vehicle – the ideal choice for sending pallets using our nationwide same day service. Excellent customer service – we have a 5.0 out of 5.0 on Google reviews. We have a large fleet of drivers throughout the UK and will always aim to pick up your goods within an hour. Once we have loaded your items, they’ll be taken straight to the destination without any stops or detours. All consignments are covered with £10,000 insurance for your peace of mind. We have hundreds of clients based closely to Bedford and we’re certain they’d all recommend our services. Our low quotes will ensure you receive exceptional value every time you use us. Please call us now on 01234 604014 to book a collection or to speak with our friendly team about your requirements. We look forward to hearing from you! 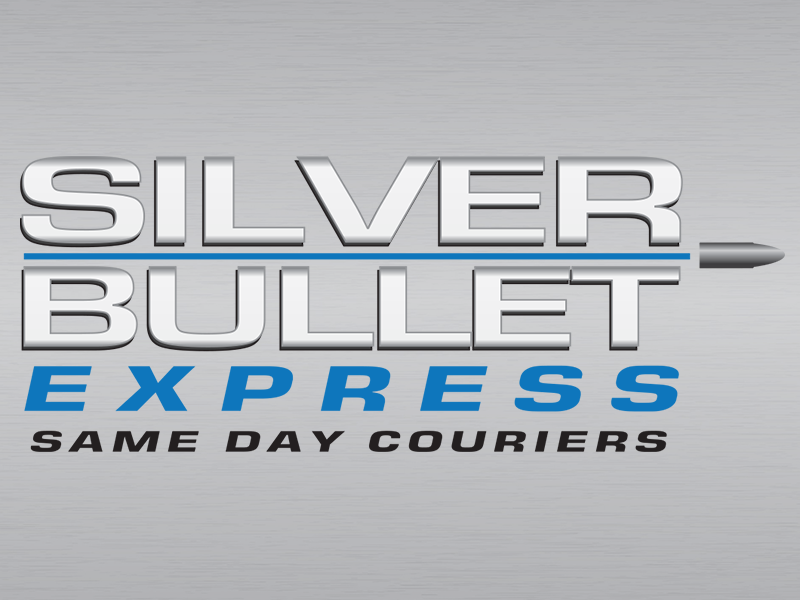 Silver Bullet Express is a family run business with over 10 years experience as a nationwide same day courier. Whether you are looking to send one small envelope or a collection of fully-loaded pallets, our impressive fleet will get your goods from A to B on the same day - without delay! Did you know we have recently invested in an instant quote generator? Very reliable and flexible service. Always go above and beyond. Great rates too. Chris is the man to go to if you want your things delivered on time every time. Possibly the best service you will ever receive and need. We’ve used Silver Bullet for years and they never let us down, these guys come highly recommended! We’ve used Silver Bullet for many years and they never let us down Highly Recommend. Chris is always quick to respond and assist us with last minute requests making Silver Bullet Express our first choice reliable & trusted service who we would certainly recommend. Always a prompt and excellent service at the right price. I would highly recommend this company for all your courier needs. I have been Silver Bullet Express for quite some time now. I am always impressed by their service and fast response. Highly recommend. I have used Silver Bullet many times for expensive shipments. Chris was able to provide comprehensive insurance cover and quotes that were far cheaper than the multinational corps. I highly recommend Silver Bullet and will always use them for same day shipments in the future! We aren’t a huge client as we only send four or five things per year by courier but can always rely on Chris and his team at Silver Bullet Express. The firm provides a reliable same day service at a decent price and they’re nice guys with it. We have used them for three years and have always found them to be friendly, knowledgeable and above-all, consistent and dependable. The service from Silver Bullet is a delight from start to finish. Responsive, competitive, friendly and even more importantly reliable. I would not hesitate to recommend this firm to friends and colleagues (and do so on a regular basis! ).